Mercedes Benz is running “Thanks, Airbag”, a television commercial featuring the Mercedes B-Class, designed as a declaration of love to the airbag. For thirty years the airbag has been making driving safer and saving lives. In the future the airbag will have less to do, thanks to the Mercedes Collision Prevention Assist feature. 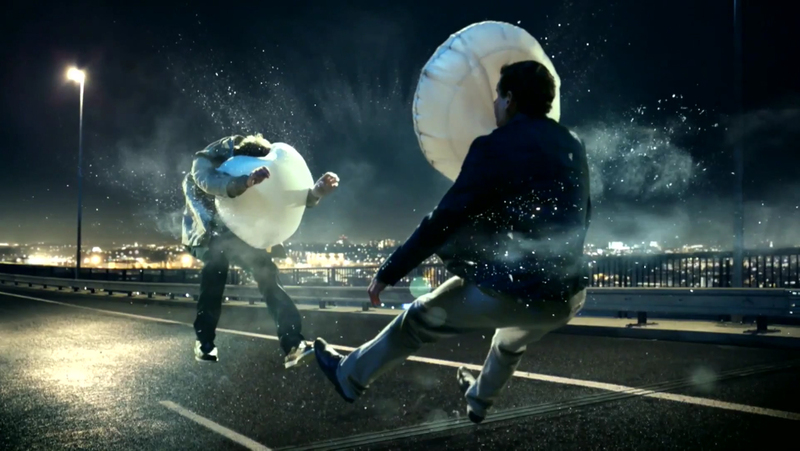 The Thanks, Airbag commercial was developed at Jung von Matt/Alster by creative directors Jonas Keller, Michael Ohanian, Thimoteus Wagner, art director Tilman Gossner, copywriters Georg Baur and Torben Otten, account managers Sven Dörrenbächer, Sonja Stockmann, Kete Stodtmeister, Knut Simons, TV producer Thomas Nabbefeld. Filming was shot by director Lynn Fox via Tony Petersen Film and Blink Productions, London, with producers Carlo Walther and Nick Glendinning, director of photography Lasse Frank. Editor was Joe Guest at Final Cut. Post production was done at Electric Theatre Collective, London, by 2D/3D artist Giles Cheetham, and The Moving Picture Company, London, by colourist Paul Harris, and NHB Hamburg. Sound was produced at Factory Studios London and NHB Hamburg by sound engineer Wenke Kleine-Benne. Music is “Airbag Theme”, produced at White Horse Music.